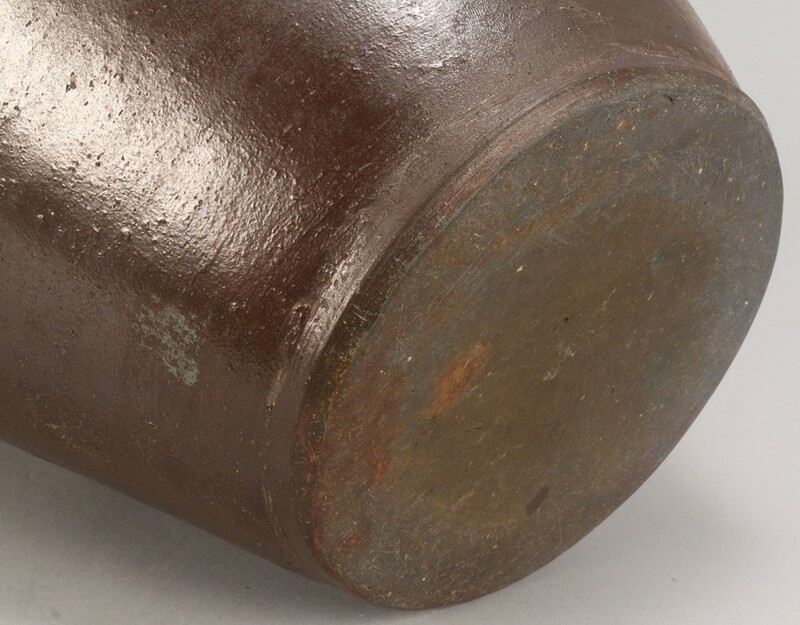 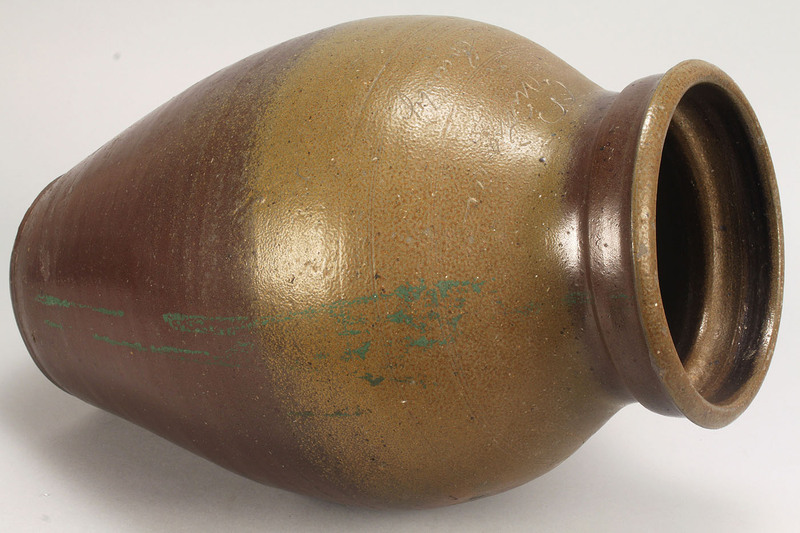 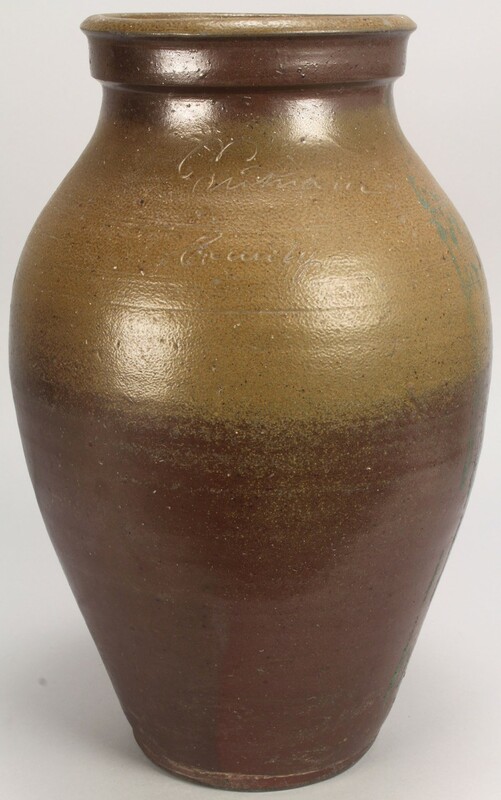 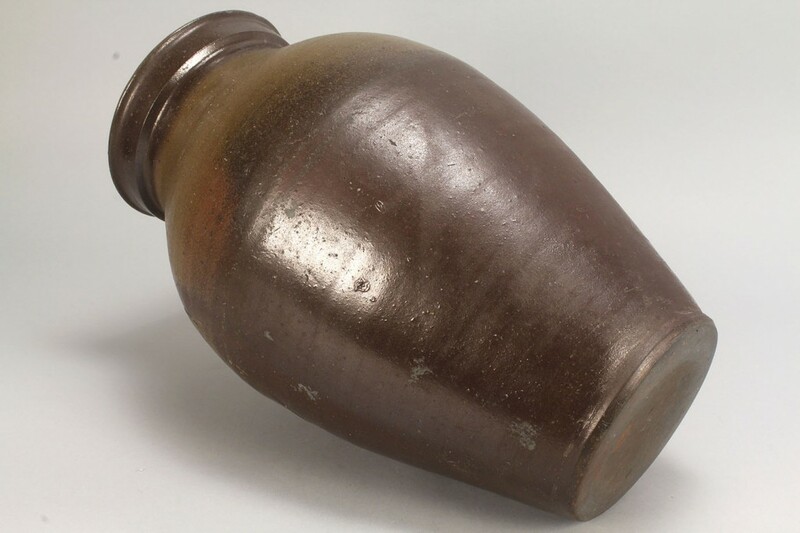 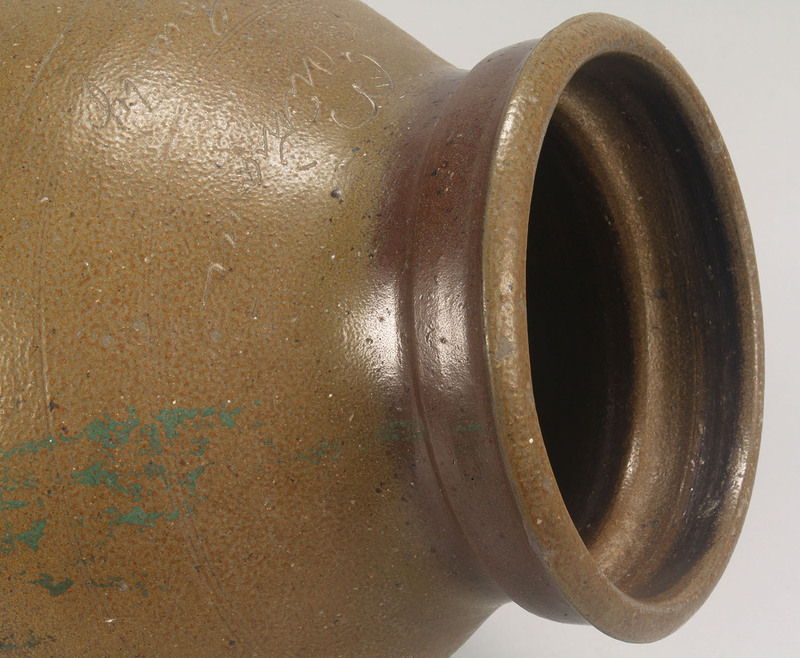 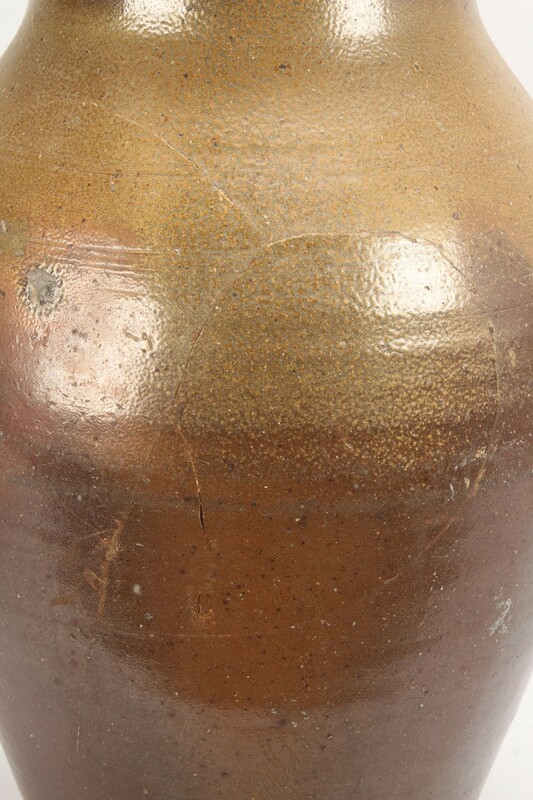 Large Middle Tennessee stoneware pottery jar, inscribed with what appears to be a downward facing "3", denoting gallon capacity and the words in script, "Putnam County" on the upper shoulder. 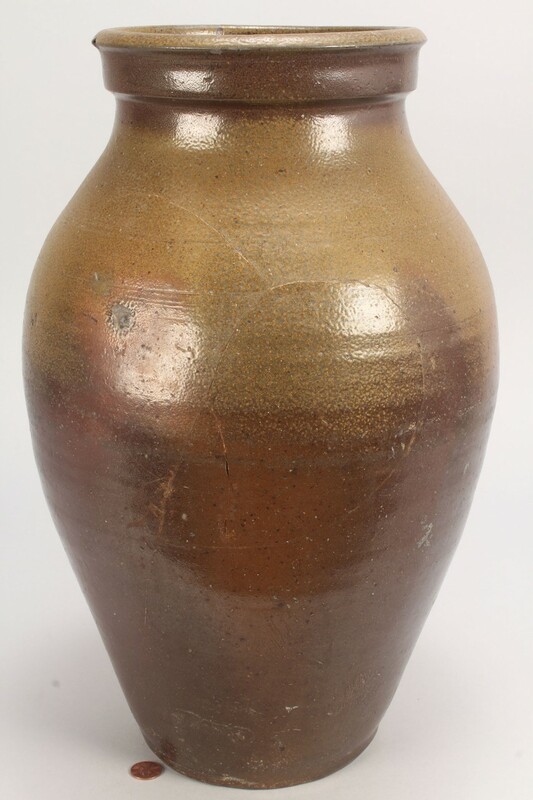 17" H. Late 19th century. 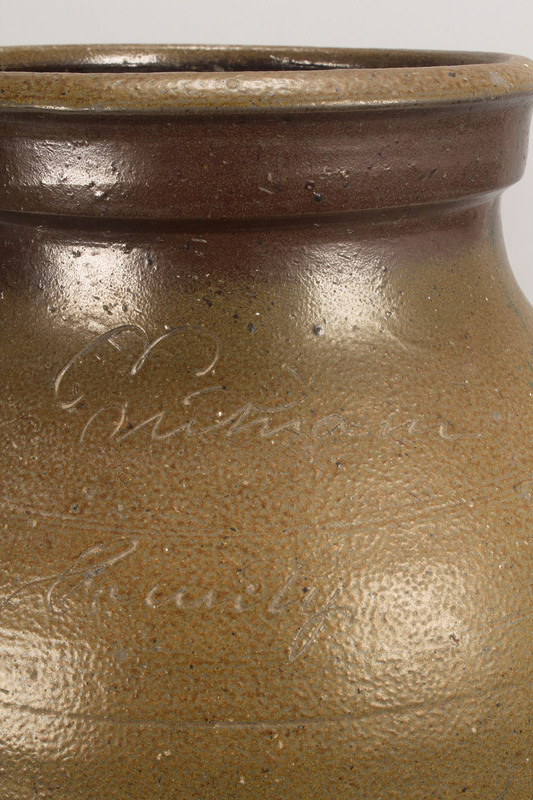 Condition: Old freeze cracks to reverse side of script, chip to rim and traces of green paint.